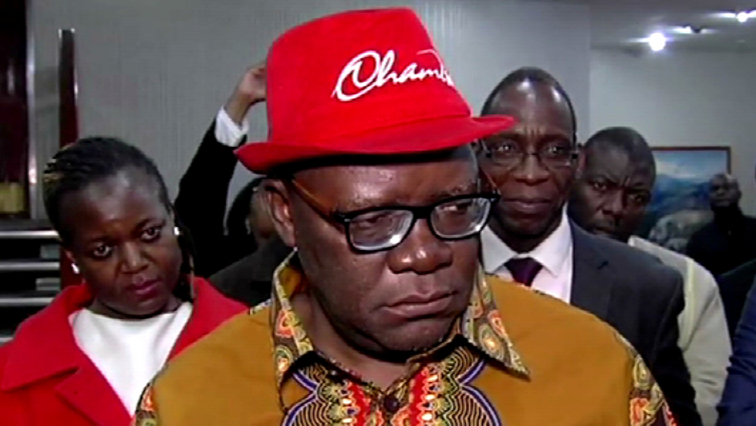 Members of the Ninth Parliament were sworn in yesterday with former Finance minister Tendai Biti painting a gloomy picture of its prospects of success owing to what he termed as a 'crisis of legitimacy'. He said the international community had no confidence in Mnangagwa. Clerk of Parliament Mr Kennedy Chokuda presided over the swearing-in of Parliamentarians from the National Assembly and Senate. Sen Khaya Moyo said time to sleep was over. It was time for delivery. Zvimba West legislator and Zanu-PF Mashonaland West chairman Ziyambi Ziyambi said he expected debate to centre on the economy. President of the Chiefs Council Chief Fortune Charumbira said Parliament should be at the forefront of tackling corruption. Masvingo North legislator Davis Marapira said the life of the ninth Parliament should see the scaling up of the Command Agriculture programme that has benefited thousands of resettled farmers.